Climb as much as you can without ever leaving your seat. 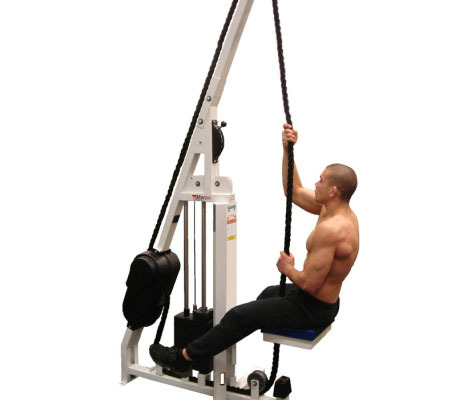 Viper LT is a compact, lightweight rope-climbing exercise machine that offers a close simulation of rope-climbing exercise. 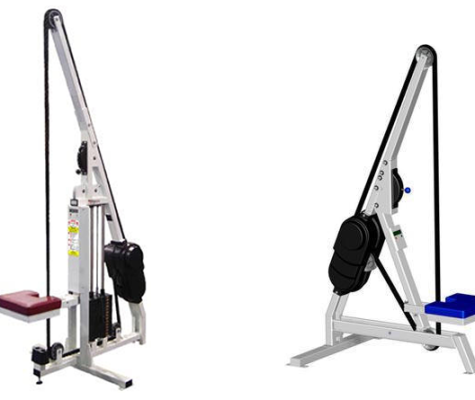 Through different rope resistance settings, Viper LT is a revolutionary piece of exercise equipment can be used for strength training, upper-body cardio, rehabilitation, and children’s fitness programs. Viper LT is a piece of exercise equipment that allows the exercise to be done from a seated position or removing the seat altogether (with our quick-release feature) so you can exercise from a standing position or from a wheelchair. Viper LT’s structural design has been optimized for maximum stability. Users weighing up to 300 pounds can use the machine without the exercise equipment vibrating, rocking, or tipping. Viper LT has only a simple mechanism for controlling rope resistance. It does not contain electrical components, hydraulics, or fluids, resulting in minimal long-term wear. • Through different rope resistance settings, Viper LT can be used for strength training, upper-body cardio, rehabilitation and children’s fitness programs. • Viper LT allows the exercise to be done from sitting position or removing the seat altogether (with our quick-release feature) and exercising from a standing position or from a wheelchair. • Viper LT’s structural design has been optimized for maximum stability. Users weighing up to 300 pounds can use the machine without the machine vibrating, rocking, or tipping. • Viper LT has only a simple mechanism for controlling rope resistance. It does not contain electrical components, hydraulics, or fluids, resulting in minimal long-term wear. • Small footprint: 40″ W x 48″ D (102cm W x 122cm D). • Machine height: 77″ (196cm). • 7 rope resistance settings. • Self contained; no electricity required. • Quick-release seat for easy wheelchair access. • Soft, no-slip rope design. • Digital display for distance, time, and speed.